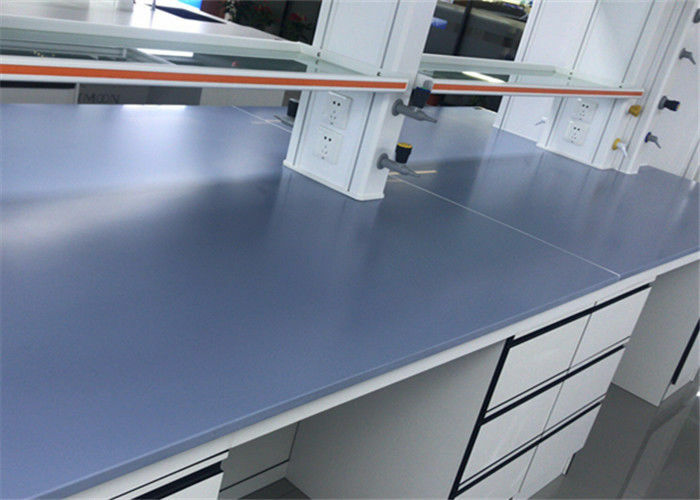 Basin station worktops are monolithic epoxy materials, there are molded marine edge to stop spill chemicals. The common color is black, we can also customize color according to client’s need. The surface is glare finish, we can change to matt surfaces if customer request. Advantages of this one is easy to install and clean. It has perfect properties on resisting chemicals and heat. This color is better than other colors on scratch problem. 1. Safety: After SGS tested, ONUS products have no formaldehyde or any of noxious materials, it is safety for the user. 2. 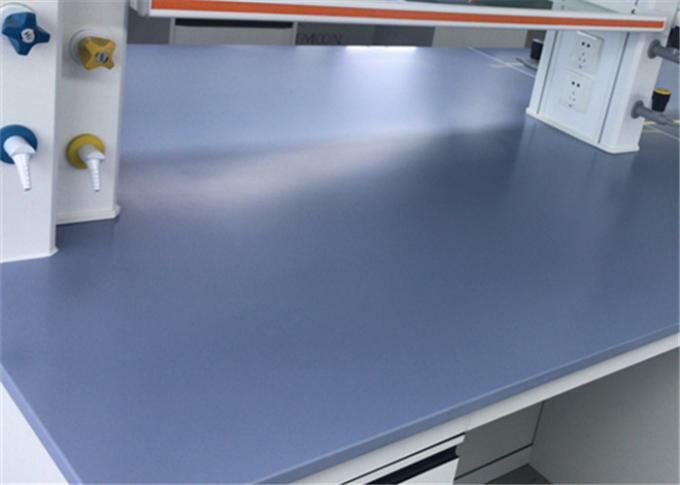 Heat Resistance : ONUS’s worktop can resist 262℃ , it won’t foam and crack, the fire can extinguish because it has no any of paper materials. 3. Mositure Resistance : Due to our products are monolithic, it won’t swell and distortion on the mositure area. 4. Reagents Resistance : ONUS’s product can resist many of chemical reagents, it won’t been corrode by the most of chemicals. Feature: Chemicals and heat resistance. Feature: Mechanical strength and heat resistance.